Start off the year by "Clearing Out The Clutter"! Guest speaker, Jennifer Robb, a professional organizer will be talking about how to start the year off right with removing the clutter and organizing. 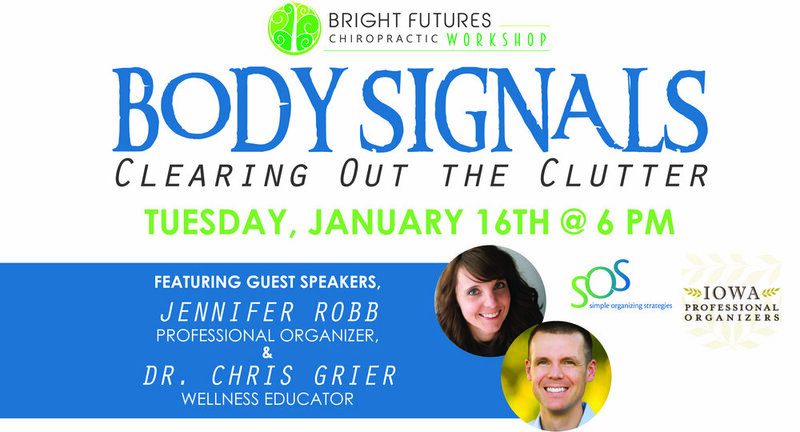 Dr. Grier will be speaking about how to clear out the clutter in your bodies and mind to become even healthier. You won't want to miss this fun workshop!